In school, a report card provides visual, tangible feedback on an individual’s success in a subject or specific area. 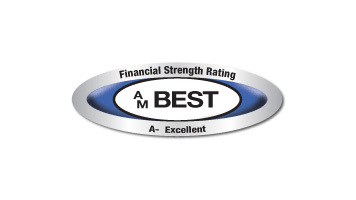 In the insurance industry, the A.M. Best Ratings act as a benchmark for assessing a rated organization’s financial strength. Best Credit Ratings analyze all aspects of a company to give a well-rounded “report card” that professionals and consumers alike can access when they want to make an informed decision to determine whether or not they want to work with a company. The A.M. Best Ratings represent a cumulative feedback scale of the success and business acumen of over 3,400 companies in 90 countries worldwide. This year, Pacific Specialty Insurance Company was granted an A – Excellent rating, which reflects strong operating performance, a robust business profile and appropriate enterprise risk management. This rating comes despite a claim heavy 2017, due to wildfires, winter storms, and hurricane devastation. Pacific Specialty is proud of the incredible efforts made by the Claims department in responding to these natural disasters by putting customers’ needs first. Weather is inherently unpredictable, but insurance companies have the ability to react appropriately when the unthinkable happens. Pacific Specialty has been recognized by A.M. Best as a business that responds congruously in the face of loss. We, as a company, will continue to improve in the areas that require more focus and will remain consistent in areas where we excel. That is our promise to you.